Type S? How to tell? I'm thinking someone tried to make the car I just bought a Type S clone of sorts.... the sticker on the back says Type S, I figured someone carefully removed the H from the end of it. Also, my valve cover is blue, making me think that maybe it got swapped at some point? I bought the car in Portland, Oregon, USA so it's not likely to be a real Type S is it? Is there some way to tell from the VIN or anything? Re: Type S? How to tell? Nah, Its most likely not. You're right, they probably wanted to look all special and took it off(or else it fell off.) Here in the great US, we ALWAYS get the shaft when it comes to foreign cars. For the Prelude, only the Base and SH were available here. In canada, there was additionally an SE model offered. Maybe it's an SE and its from Canada.......buuut my money's on what you said...he either took off the H or it fell off. if you were going to by a type s clone car, at least make sure the engine code is h22a with a red valve cover, unless of course the VC was painted red. I'd take a type s engine if it were included. I'm thinking someone tried to make the car I just bought a Type S clone of sorts.... the sticker on the back says Type S, I figured someone carefully removed the H from the end of it. Also, my valve cover is blue, making me think that maybe itgot swapped at some point? I bought the car in Portland, Oregon, USA so it's not likely to be a real Type S is it? 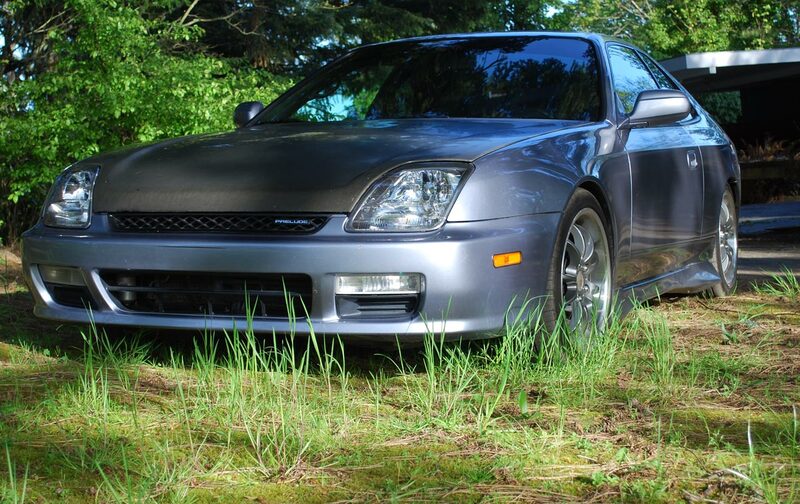 A Prelude Type S that's JDM or USDM? Only way to know that is look at where the steering wheel is. Lol Anyways, there is a thread in the 5th gen section that explains the contrast between the two types of 5th gen in the US if that will help you any. I'm only going to say this one time because I'm getting irritated now. to all new members: before you hit the "post new thread" button, do a search for the topic of your interest. These questions are ridiculously stupid lately. seriously do some research on your own, Shyt is getting old.